Orcas are just one of the most recent species to be affected by PCBs. What are PCBs and how are they entering water systems? How serious is it and will it affect the overall Orca population? Figure 1. Orcas jumping from water. Courtesy of Robert Pittman, NOAA, 2006, Wikimedia Commons. Public Domain. The killer whale (Orcinus orca) has long been an icon used in promoting environmental movements aimed at protecting Earth’s oceans. Located in few areas, their populations are dwindling and at risk of being extirpated. Numerous studies have been conducted along the west coast of North America to discover why the populations are suffering.1,3,4,5 These studies focus on the three main groups of orcas living in the Northeastern Pacific Ocean: northern residents, southern residents, and transients.1,3,4,5 These whales make their home in waters ranging from the coasts of Oregon to British Columbia, and during migration, their habitat extends down to the southern tip of California.4 Scientists researching their behavior have used data from different groups of whales throughout these three groups and have combined results to make generalizations about their behavior and health. However, due to the limited number of orcas and their restricted habitat, they are difficult to locate and study. Figure 2. Chemical structure of polychlorinated biphenyl. Courtesy of D.328, 2006, Wikimedia Commons. CC BY-SA 3.0. Figure 3. 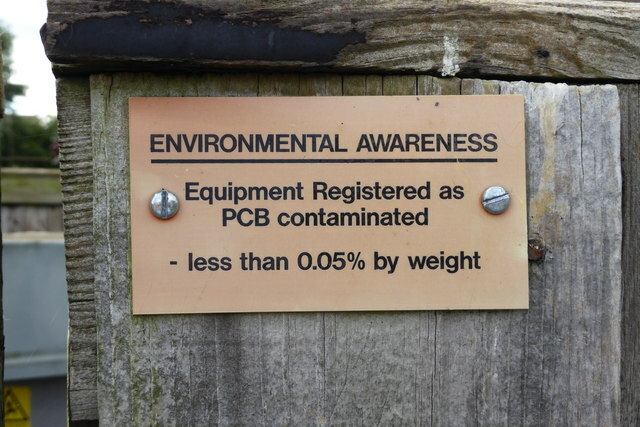 Environmental awareness sign against PCBs. These signs must be attached to equipment that tests positive for the chemicals, as PCBs pose numerous health risks to individuals if they are exposed. Photograph courtesy of Bob Harvey, CC BY-SA 2.0. Figure 4. 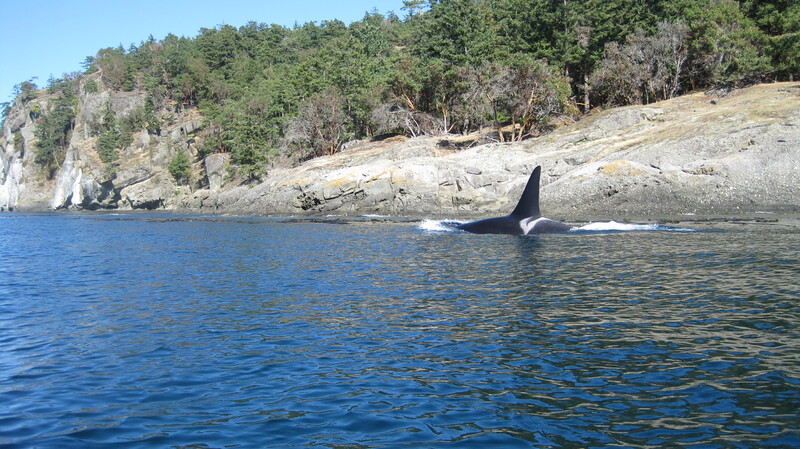 This male Orca whale, located in Friday Harbor, Washington is a member of the L pod of Puget Sound. Courtesy of Erik Stockdale, 2009, Wikimedia Commons. Public Domain. Detailed research has shown high levels of PCBs impede normal growth and development by hindering reproductive development through manipulation of the endocrine system, changing immune function, and increasing vulnerability to disease and other health problems. 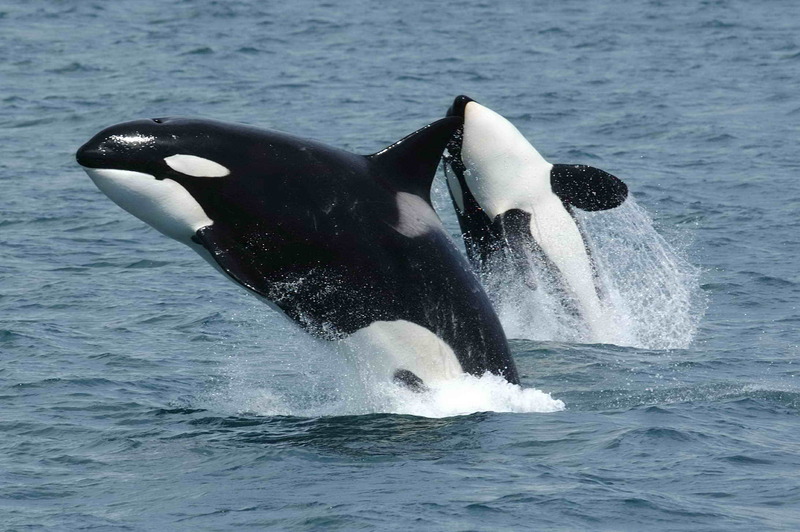 For example, studies of whale family trees of whales in Puget Sound (Seattle, Washington) show a growing number of stillborn births and premature deaths in orca populations, both of which are problems likely caused by PCBs. In this area, 7 whales died in one year, which brought their population down to only 86 individuals.8 If this population decline continues, killer whales are expected to be locally extinct in just twenty years.8 As an indicator species, the current condition of killer whales is important in relation to the overall health of the environment, and trouble for killer whales implies trouble for other marine species.7 PCBs are likely the number one persistent pollutant in the northern hemisphere.8 Killer whales are only one of many marine mammals impacted by PCBs, and although these toxins are persistent pollutants, steps can and should be taken to save the remaining whales and protect the lives of new whales being born into polluted waters. Smith, H.& Shaffer, M. (Producers), & Young, R. (Director). (2009). PBS Frontline: Puget Sound – Hot Spot for PCBs [Video]. WGBH Educational Foundation. D.328. (2006). [Structure of polychlorinated biphenyl]. Retrieved from Wikimedia Commons. CC BY-SA 3.0. Harvey, Bob. [Photograph of environmental awareness sign]. Retrieved from http://www.geograph.org.uk/reuse.php?id=3691871. CC BY-SA 2.0. Pittman, Robert, National Oceanic and Atmospheric Administration. (2006). [Photograph of Killer Whales jumping]. Retrieved from Wikimedia Commons. Public Domain. Stockdale, Erik. (2009). [Photograph of male orca swimming in Friday Harbor, Washington]. Retrieved from Wikimedia Commons. Public Domain.